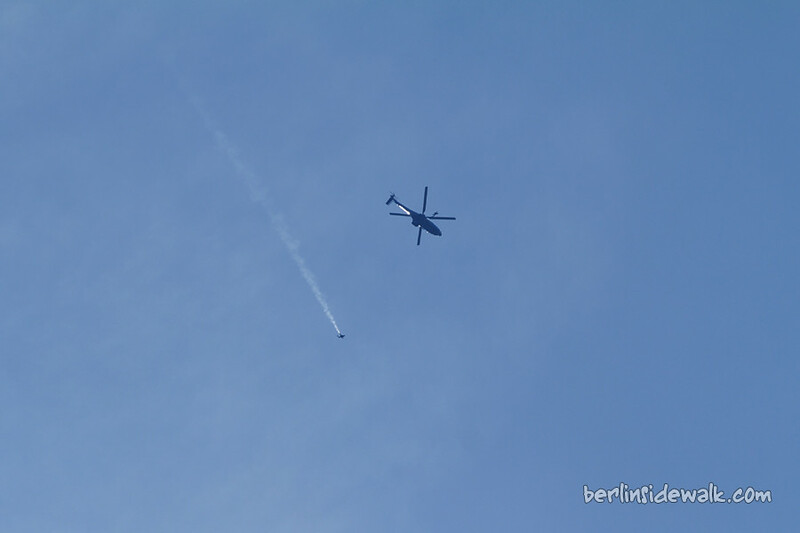 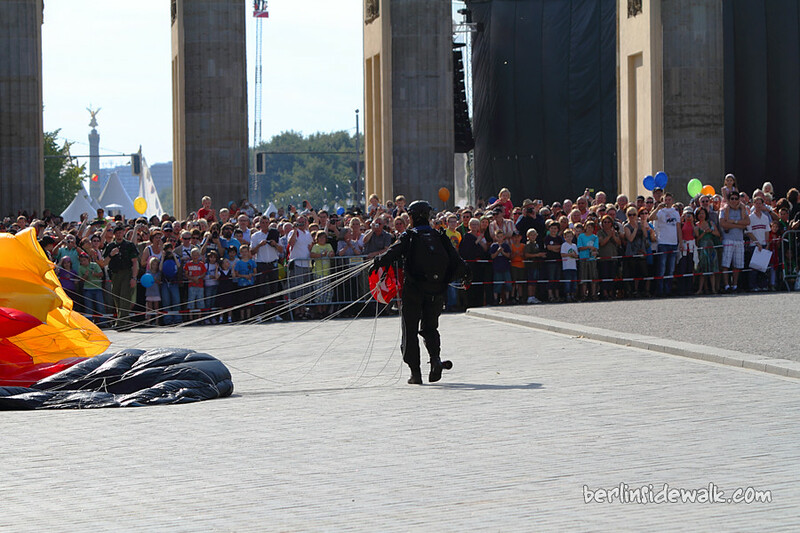 Berlin, Pariser Platz, 27°C, a small helicopter is hovering above the Brandenburg Gate, suddenly a group of GSG9 Special Forces is jumping out of the helicopter, attached with a parachute and a smoke flare gun. 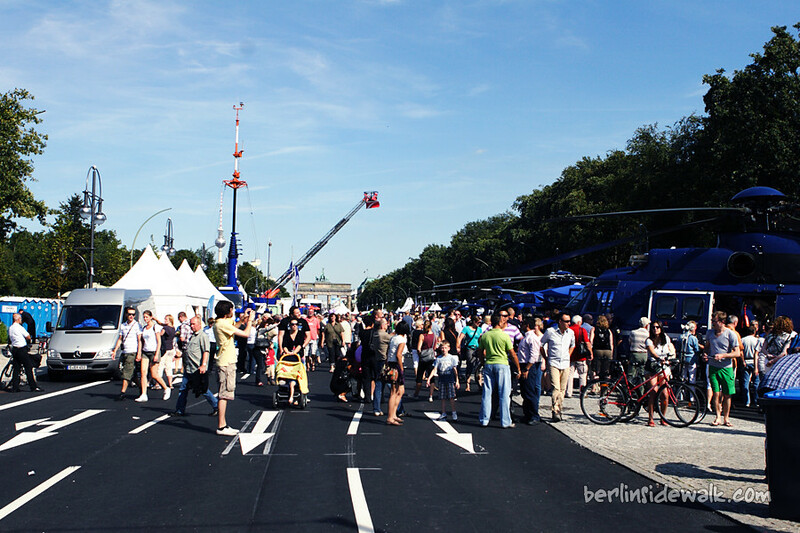 Thousand of tourists waiting for them to land in the middle of the Pariser Platz right in front of the Brandenburg Gate. 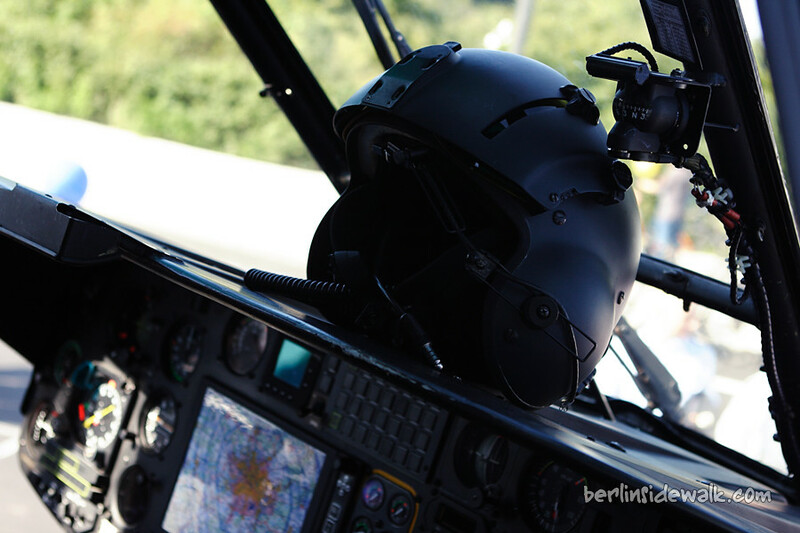 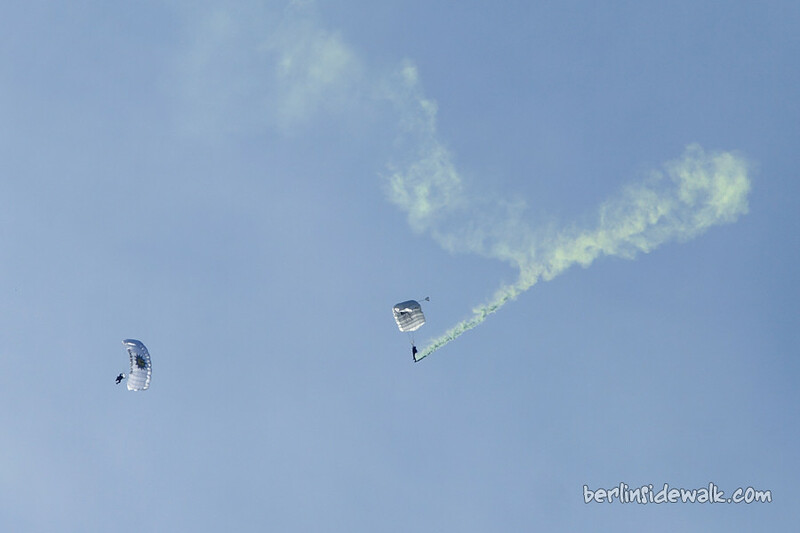 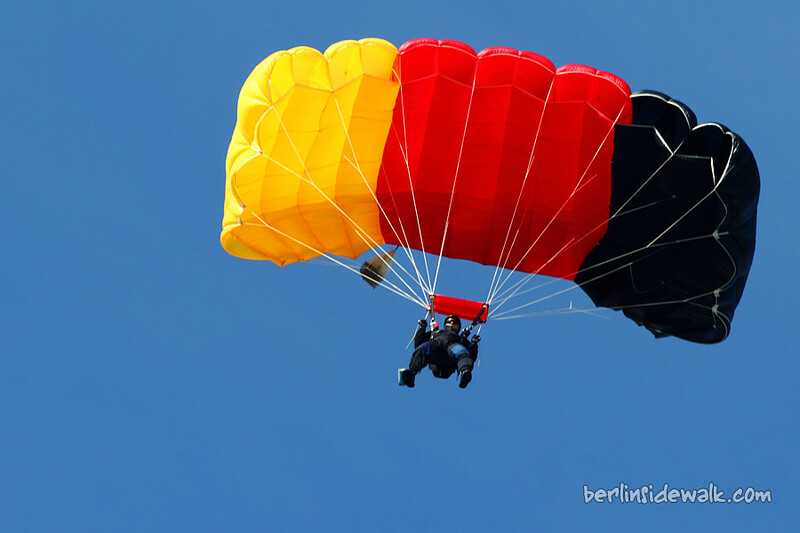 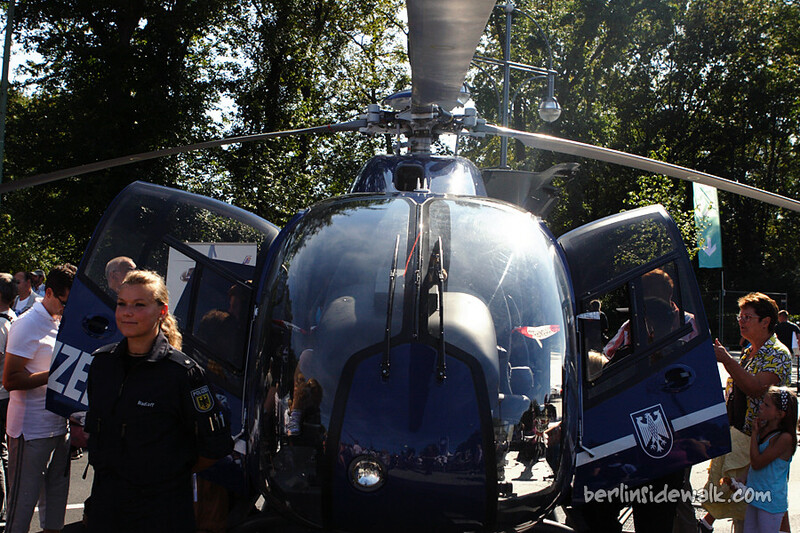 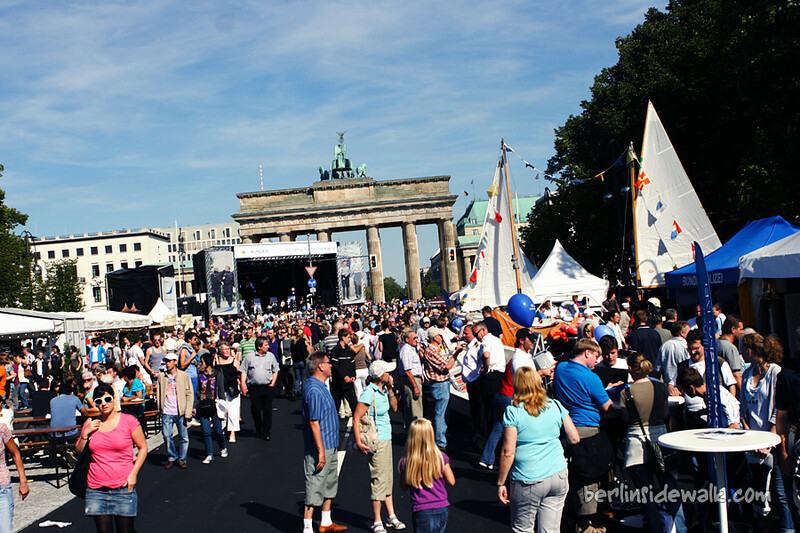 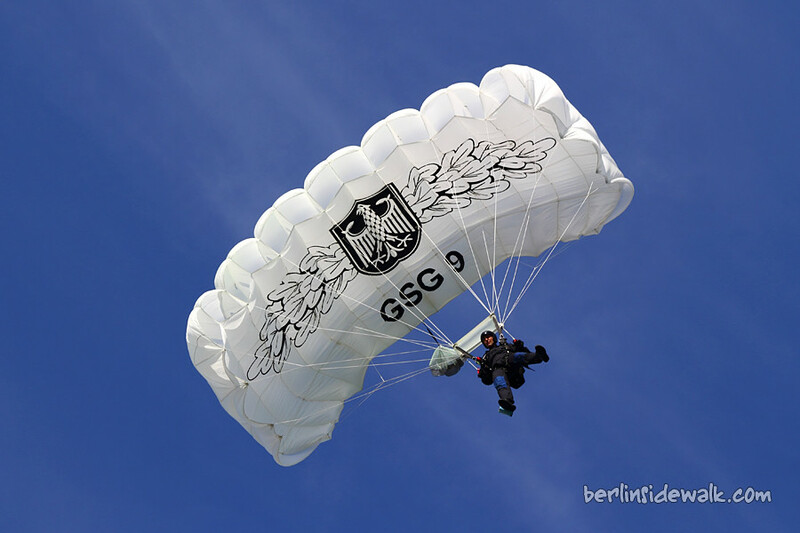 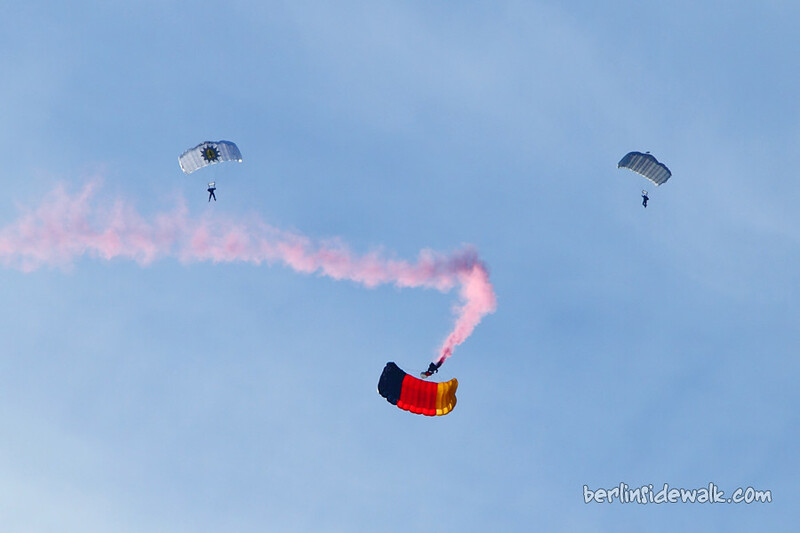 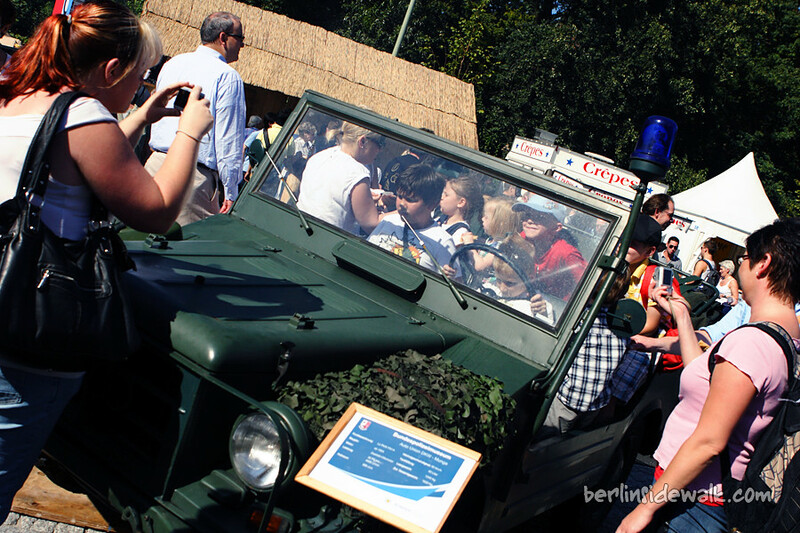 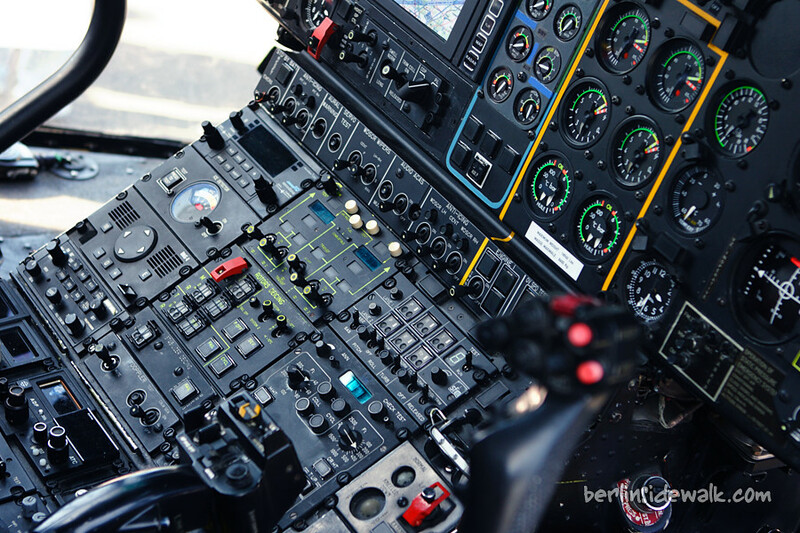 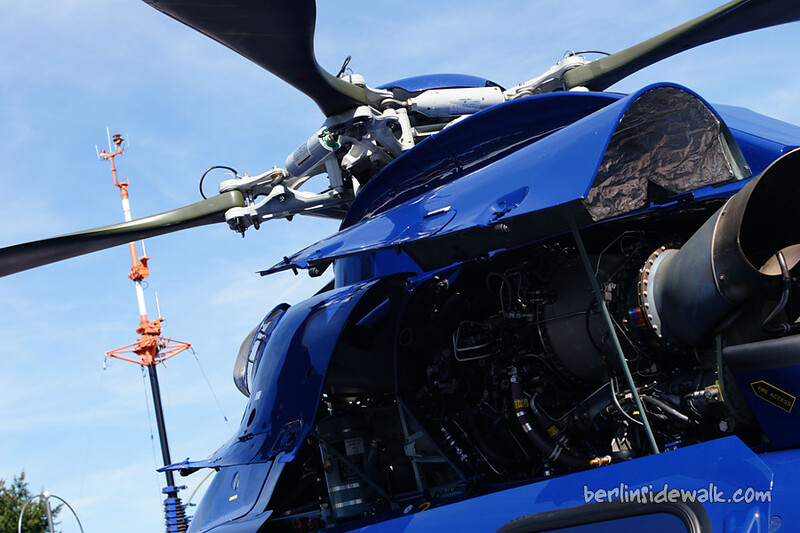 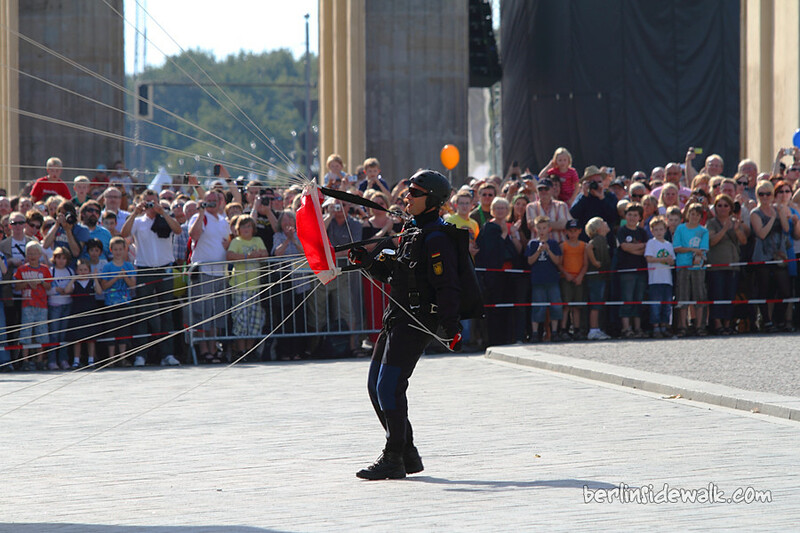 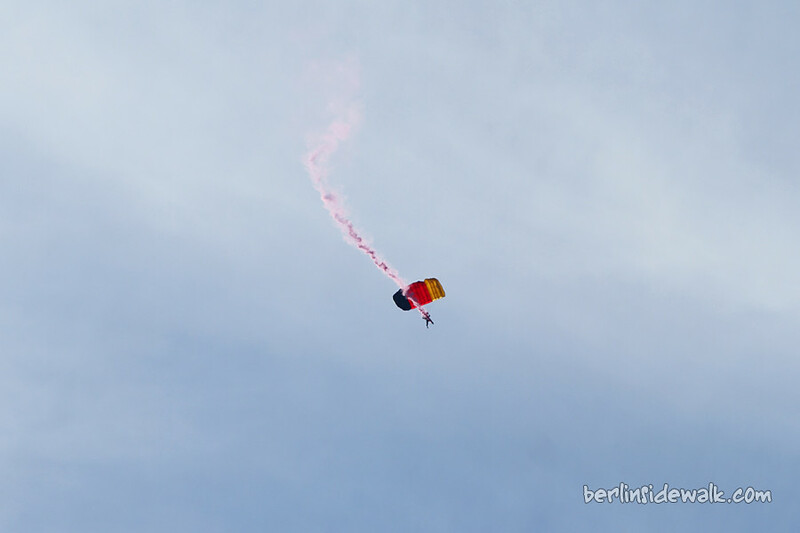 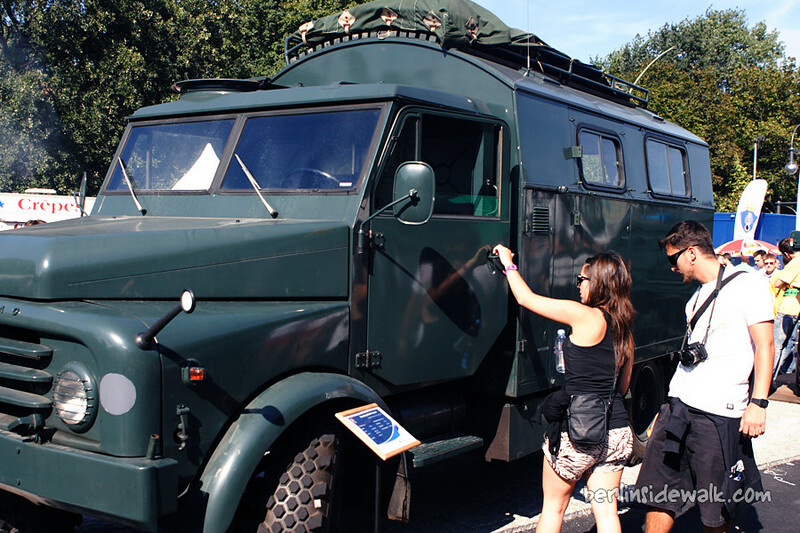 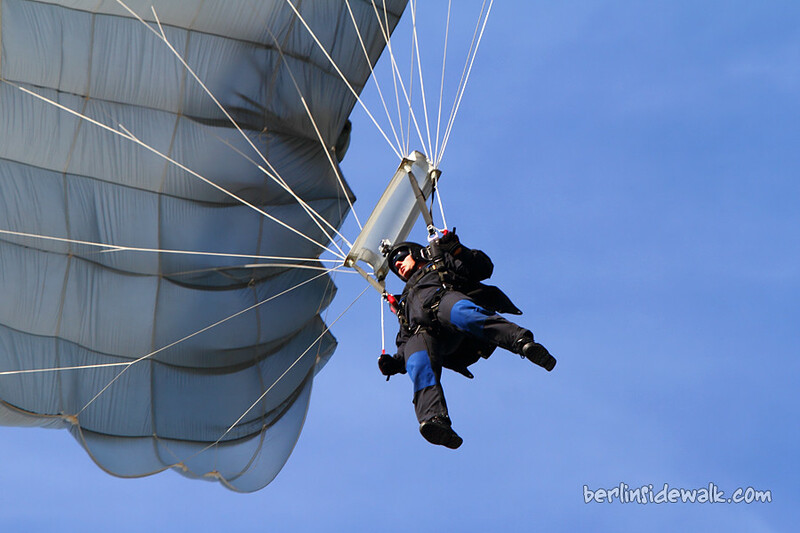 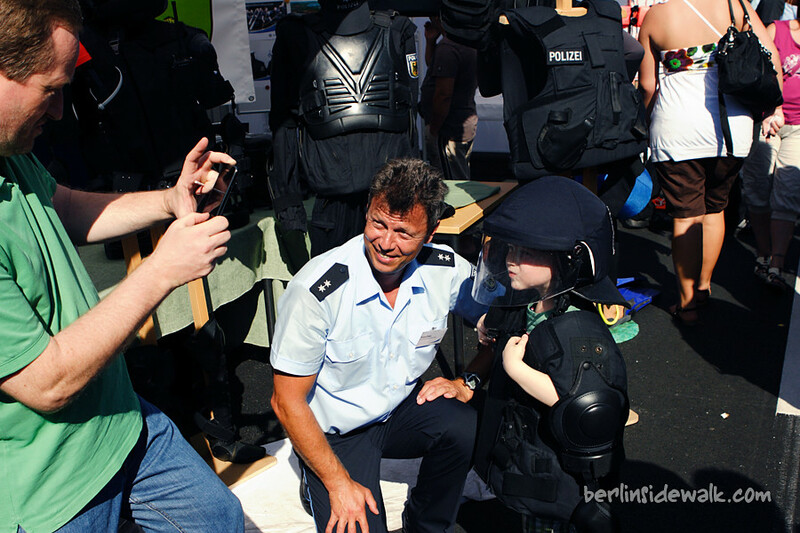 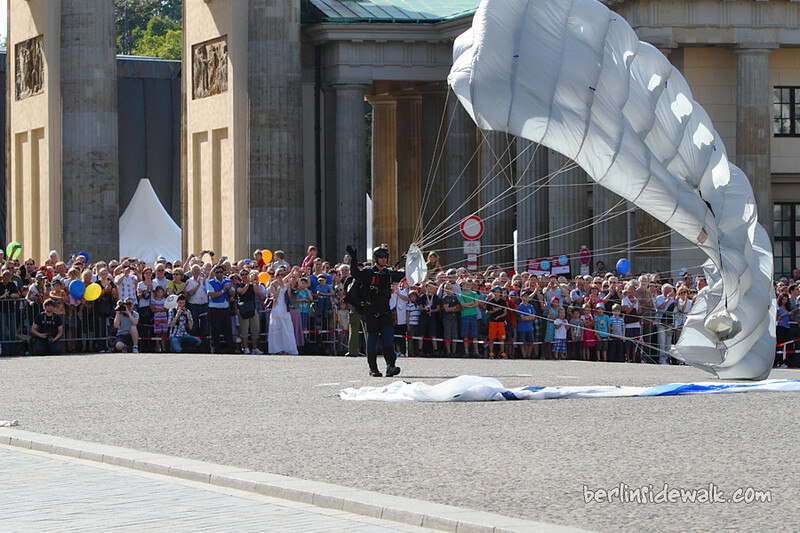 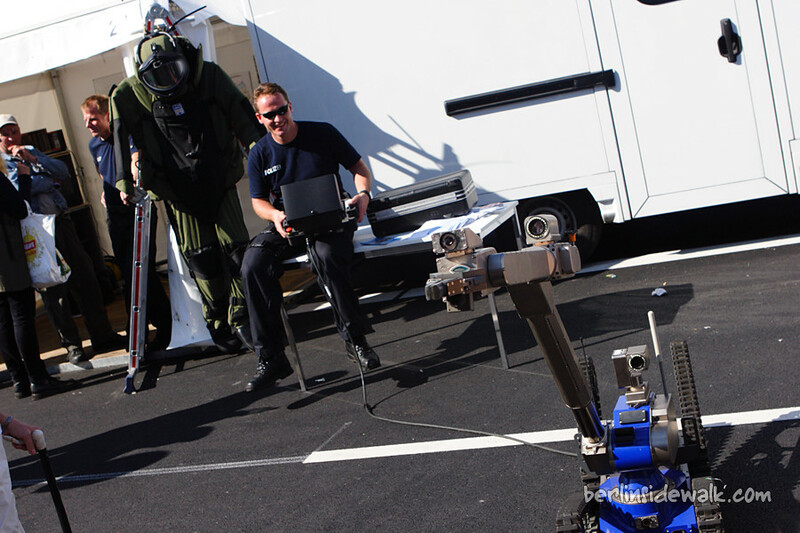 The Berlin Federal Police celebrated its 60th Anniversary yesterday on August 20th 2011, with a big street festival and the GSG9 paratroopers as a special event.